I want to get Alagappa University Evening College Results for that I want to get process of that so will you please provide me that ? 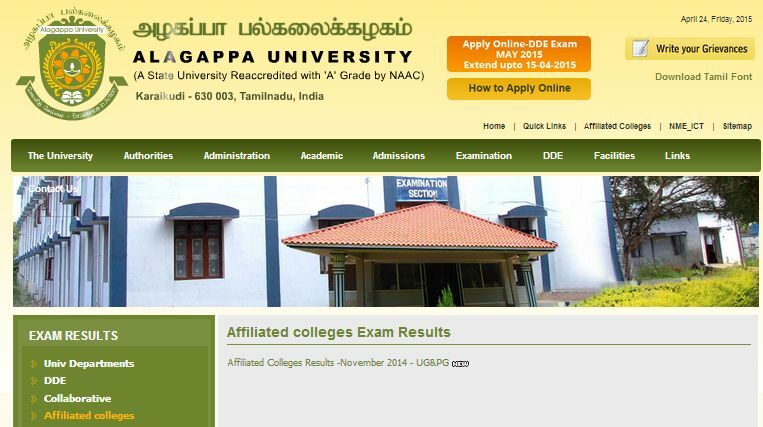 Firstly go on official website of Alagappa University. On that page upper side you have to go on examination option. And then go on exam results option and then click on affiliated collegeâ€™s option. On new page in the front you have to do click on Affiliated Colleges Results -November 2014 - UG&PG option. On new page after filling required information you will get your exam result.